“Direct mail advertisements give people time to think… With print advertisements, we’re not anticipating the next click.” – Chris Barr, director of marketing for Taradel. In the digital age, it’s easy to dismiss direct mail…but marketers — ignore it at your peril. 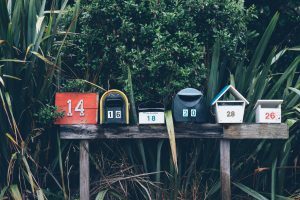 Research by the Direct Marketing Association has found that 70% of Americans say ‘snail mail’ is more personal than the internet, and half of US consumers prefer direct mail over email. Further studies have found that people who received direct mail offers were able to recall the brand 75% of the time, compared to 44% of people who received digital-only versions, and over 60% of direct mail recipients were influenced to visit the promoted website. Direct mail is clearly an excellent way of connecting with customers, and trends in direct mail design reflect this. Marketers and advertisers are coming up with some highly creative ways of connecting with customers, helping improve brand awareness, and making sales. When it comes to design language, DM has one of its own. Playful, poignant, and tactile — the best direct mail designs are design masterpieces in their own right. Every year WWF marks Earth Hour, a global movement that brings people together to take action on climate change by switching off their lights for one hour. To encourage large companies and corporations to take part, yellow candles in boxes were sent out to industry leaders and CEOs. 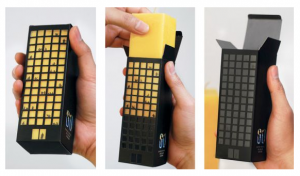 The front of the box was cleverly designed to look like a tall building; when the candle was removed, the lights went out. The campaign was a big success, with corporate support increasing by 260% from the previous year. Don’t forget about the power of objects — they can help take your DM campaign to the next level. Just don’t opt for something super gimmicky. Instead of using a straightforward opening, the envelope featured a perforated pull tab that mimics effect of a car driving through snow. This makes it irresistible to open and very memorable: exactly the playful effect it is trying to achieve. 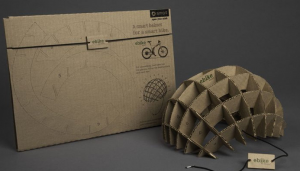 To introduce their new range of environmentally friendly bikes, Smart designed a flat mailer made of recycled cardboard for recipients to assemble into a helmet. Great direct marketing is about knowing who your audience is and making them feel as though you’ve created something just for them. The recyclable helmet hits all the right notes for Smart customers: it grabs their attention, fits with their worldview, and is environmentally-friendly. A clever bit of visual thinking can transform a run-of-the-mill direct marketing design into something altogether more effective. 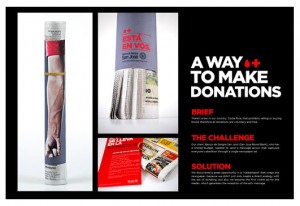 The San Jose Blood Bank sent out ads wrapped around newspapers, held in place with a rubber band. Due to the placement of the band, it looked like a tourniquet, a familiar sight to anyone who has given blood. The result was simple, clever, and very effective when it came to driving the campaign’s message home. Think about how you can story tell in your Direct Mail designs — something familiar, or even a little bit shocking, is likely to be arresting. A good direct mail campaign doesn’t need to break the bank — you can make use of some very small touches to have a big impact. 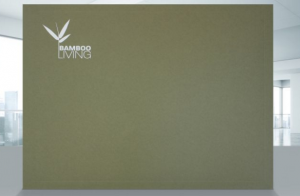 Bamboo Living Homes keep their direct mail campaigns simple and elegant by using custom designed envelopes that are printed with non-metallic white foil. 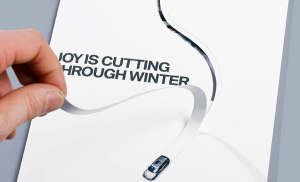 The company use this ink-free method to protect the environment, and give their mailers a more ‘natural’, organic look. If you’ve just started, or are in the process of starting an online business, then you might not have the world to spend on marketing. Starting local, while thinking global, is one of the best ways to grow your business. Adopting a similar direct mail strategy to Bamboo Living Home can help you achieve your goals by creating an initial customer base from the people in your local area. Sometimes the oldest tricks in the book are the best — such as sending out a free gift as part of your direct mail campaign. MDVIP, a national network of primary care doctors who focus on delivering personalized medicine, made use of this old trick with a campaign that sought to capture attention by offering recipients something they could keep. 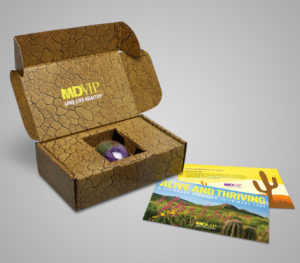 They used a desert-themed direct mail that included a miniature cactus in an effort to recruit doctors. If you’re looking to build up your customer base, free gifts are a great way of building a deeper connection with the people you’re seeking to sell your business to. But it’s vital to make sure you choose something that will survive the journey intact and that ties in with your ad messaging. Something that’s just ‘tacked on’ won’t be effective. An element of surprise is a great way to get people engaged with your direct mail campaign. To reach Hispanic media and attract new advertisers, the NFL set out to break the stereotype that Hispanic people are only interested in soccer. On the outside, the box looks like it contains a soccer ball, and it’s printed with the message: “inside is the ball 28.5 million Hispanics truly identify with”. 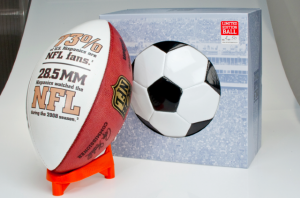 Once opened, the box turns out to contain an American football printed with statistics that underline how large the Hispanic audience for the sport actually is, such as: “73% of Hispanics are NFL fans”, and “The Super Bowl was seen by 2 million more Hispanics than the World Cup final in Germany”. Though some of the above direct mail examples might be financially beyond the reach of a small business, they demonstrate the real impact direct mail design can have. It’s all about thinking outside the box (literally), and testing out new formats and Direct Mail design ideas. Think about fun ways that you can grab people’s attention without resorting to gimmicks. Victoria Greene is a branding specialist, marketing consultant, and freelance writer. On her blog, VictoriaEcommerce, you’ll find articles covering a range of topics in the world of marketing. 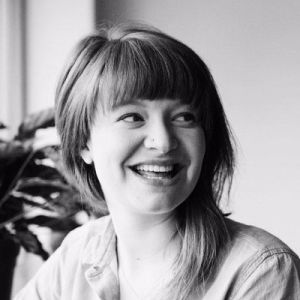 She is passionate about using her experience to help brands improve their marketing reach. First Move direct marketing provide direct mail services to companies who are looking to engage with their customers to improve customer retention and in return increase their profits. Our direct mail design team are on hand to give your campaigns the wow factor. We also work with US and European companies helping them to reach the UK market through effective direct mail campaigns. Whether you want to target homeowners or businesses, we’ve got the expertise, technology and experience to ensure your campaigns are targeted, personalised and achieve a high ROI. First Move Names Rachel Smith as Managing Director How Does GDPR Affect Direct Mail?